Having a party that you want to make fun party favors or maybe you want to make an inexpensive gift for teachers, neighbors or friends? Close to Home has a great DIY Holiday Craft tutorial for you. 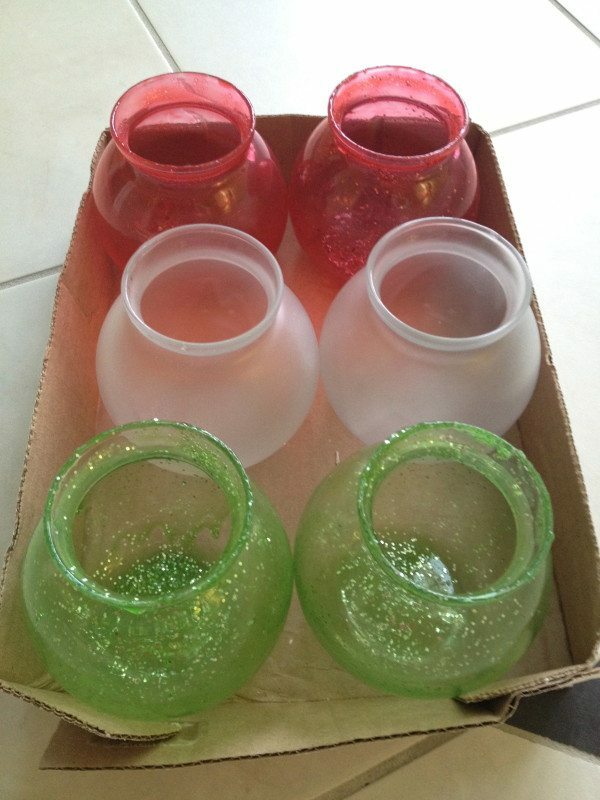 Recently my tutorial for tinted candle votives was published on Parade.com. Since publication, I revised the tutorial slightly and added a little bit of bling to the DIY Candle Votives. I used some of the Frosted Glass Spray, I used in this post on Candle Holders, on some of the votives, which proved to be a much quicker process. However I do love the coloring of the baked version. Instead of using the Target glasses, I also found inexpensive glass votives or vases at Hobby Lobby that worked out well and I love the shape. 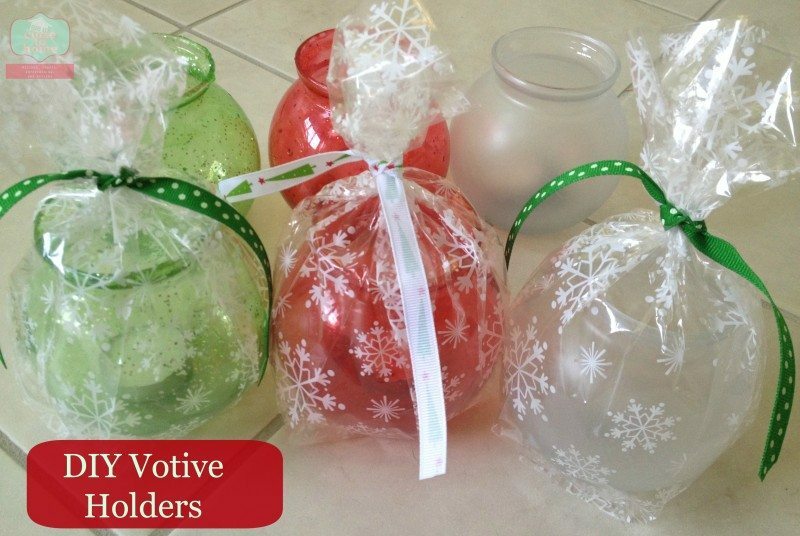 After making those, I also found much smaller glass votives at Walmart for under .50c each. I might color a few of these in different colors and give them as a gift. So now for the slight revision on the other tutorial. For my annual cookie Exchange, I always provide some type of Party favor for my guests. While making more of these since I printed the previous tutorial, I decided to add a little glitter to the ModgePodge and food coloring mixture. Unsure of how these would turn out, I proceeded with the directions I posted here. I think they turned out pretty festive. What a great idea! I think this looks like something I could actually do because I am not too crafty.